Our regular feature Collection Rotation. Each month someone special organizes a mini “exhibition” from our collection works online. Today, please welcome SFMOMA’s Anne Bast Davis. Once, in my past position as intellectual property associate at SFMOMA, I received a request from a writer who wanted to reproduce a work by Tina Modotti, the Italian-born photographer-turned-communist-revolutionary who worked closely with Edward Weston (and whose photographs of Mexico were featured in a recent SFMOMA exhibition), for Open Space. There has been no shortage of interest in Modotti’s beautiful, complex, and often strikingly modern work; the artist herself has been the subject of several biographies, thanks in no small part, no doubt, to the tumultuous life she led. And this would be one of thousands of instances in which artworks from SFMOMA’s collection are reproduced in a given year, either in print or in digital form. But however routine it may have seemed, this request gave me pause. Even though Modotti’s work has been celebrated and studied and reproduced widely, no one knows who controls copyright in it, and so in reproducing it on the SFMOMA blog, we could be breaking the law. 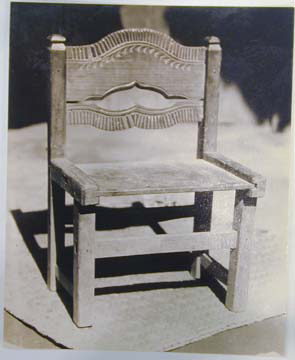 Tina Modotti, Untitled [“Chair made by indians for their own use”], n.d. 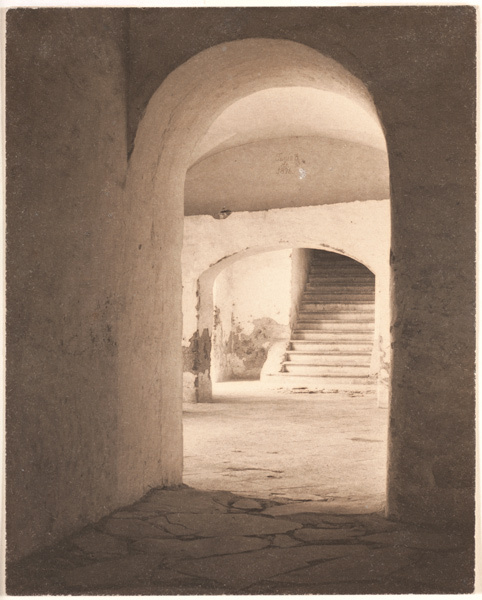 When Modotti died suddenly in Mexico in 1942, she left behind no heirs and no instructions for how her artwork was to be managed. This is unsurprising: she was only 46, and living in a tumult of political activism and upheaval, with little time to think of estate planning. Still, this absence meant that her photographs, writings, and other creative works fell into an “orphaned” state. The term “orphan works” refers to creative works that are eligible for copyright protection, but for whom no copyright holder can be identified or located. Much attention has been given to the so-called “orphan works problem” lately (one recent example is the Orphan Works Symposium that the Berkeley Digital Copyright Project organized this past April), and estimates of the number of such works range from the millions to the billions. Attempts to address the problem through legislation in the United States have failed, and while the EU is farther along, an actionable solution is still out of reach. Tina Modotti, Untitled (Village Street), n.d.
Orphan works pose a particular problem for cultural heritage institutions like libraries, archives, and museums, whose raison d’être is the collection, interpretation, and exhibition of creative works; we invest an enormous amount of energy in ensuring that these works will exist for future generations. It’s difficult to say how many orphaned works are in SFMOMA’s own collection, but the number likely reaches into the thousands. We believe that the work of Claude Cahun, another pioneering female figure in the history of photography, is likely orphaned, and we have not been able to locate an heir to the estate of sculptor Sargent Johnson either. The majority of orphaned works in our collection, however, are vernacular photographs whose creators were never known to us. But at SFMOMA, we decided that there is a greater risk: that the creative contributions of Tina Modotti and other lesser-known artists could disappear from public view because few are willing to reproduce images of their work. This risk is one that we are not willing to take. And so, along with colleagues at the Berlin Film Archives and other cultural institutions, we have taken a small, reasoned stand in favor of the public and the legacy of the artists represented in our collection. If, after searching diligently but unsuccessfully for the copyright owner of a work in our custody, we believe that work to be orphaned, we will make it available for study, contemplation, and enjoyment both in print and online. Because don’t you want to know this work exists? Left: Tina Modotti, Untitled, ca. 1927. Right: Unknown, Untitled [Aerial view of battlefield with soldiers and trenches], ca. 1918. Click image for larger view. Left: Claude Cahun (Lucy Renée Mathilde Schwob), Untitled (Face and mirror), ca. 1929. 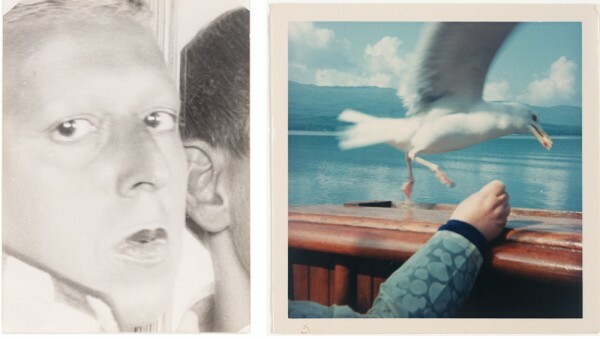 Right: Unknown, Untitled [Seagull], ca. 1975. Click image for larger view. 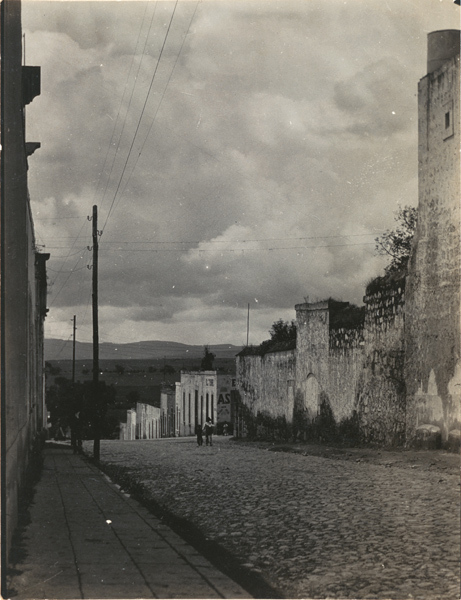 Left: Tina Modotti, Untitled [View from Tina Modotti’s Window, Mexico City], ca. 1927. Right: Tina Modotti, Untitled, ca. 1927. Click image for larger view. 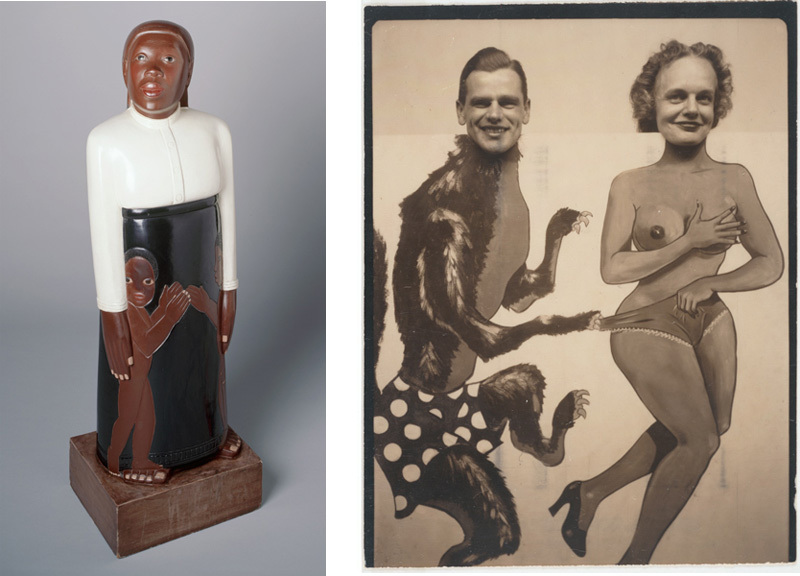 Left: Sargent Johnson, Forever Free, 1933. Right: Unknown, Untitled [Man and woman posing with a prop], ca. 1930s–40s. Click image for larger view. Anne Bast Davis was, until recently, intellectual property associate at SFMOMA; she is now a curatorial assistant in the museum’s Painting and Sculpture Department.